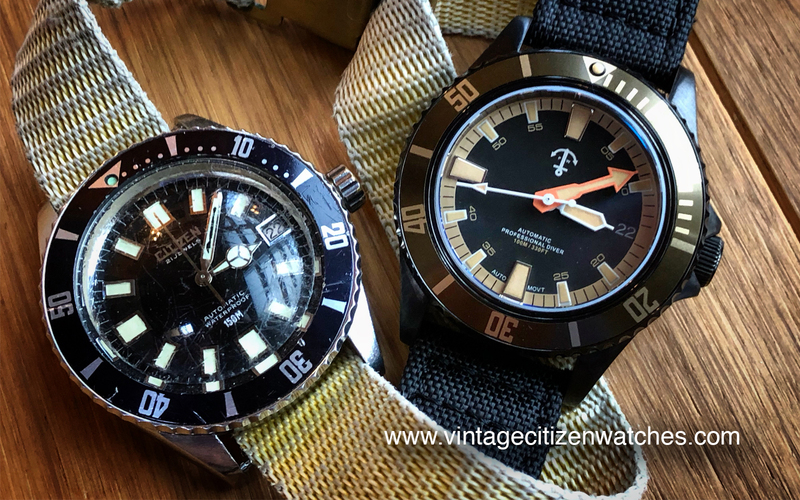 Vintage divers – every time I hear this combination of words my heart races a little. 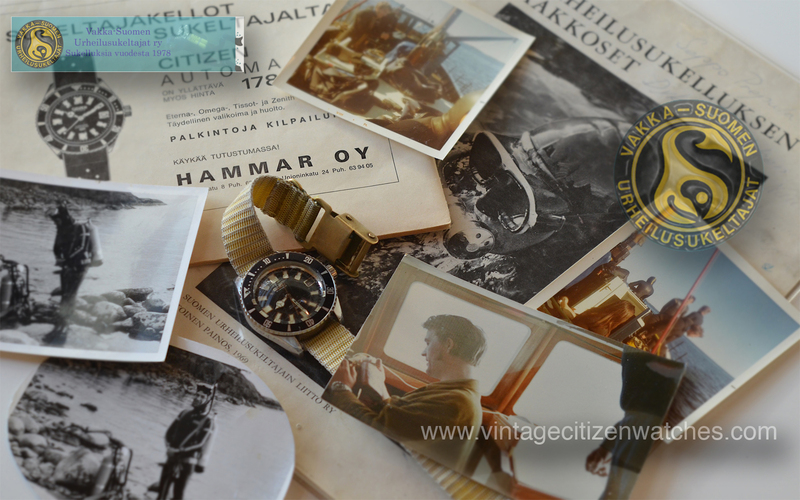 I dream about that period in time when a watch was what it was supposed to be, a true tool watch, a real diving instrument, not a desk diver fashionable statement as it is most of the times today. Was it a good thing or a bad one, who am I to judge? But for sure I love a vintage diving tool watch such as this one I am talking today. Lucky me I have a NOS one, birth year and month 52-0110, and this is awesome. I love it! 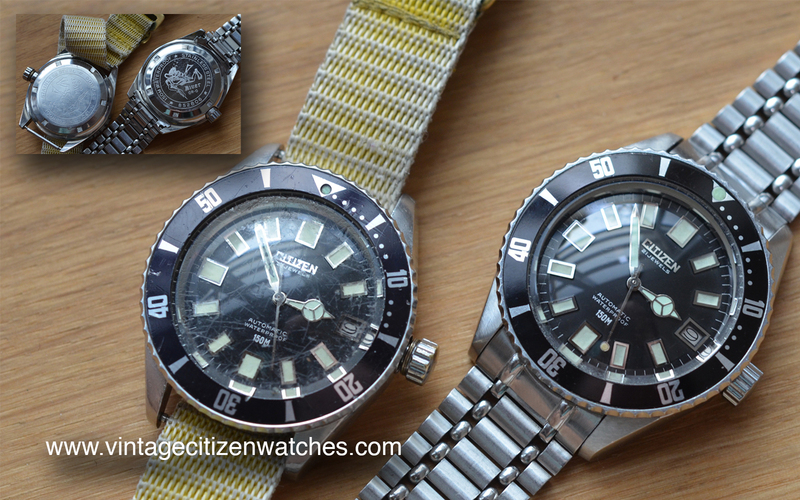 The 150m Citizen is, in my opinion, one of the best looking vintage diver ever! 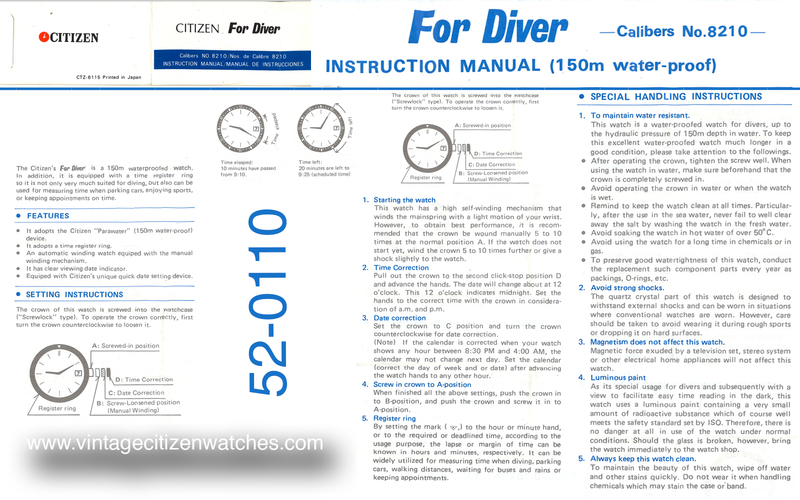 It has everything a real diver should have: decent water resistance (150m), screw in crown and easy to use, screw in caseback, a diver bezel, clear indexes, easy to read hands contrasting with the matte dial, a sweeping central second hand, thick glass, diver extension clasp and the most important: a reliable movement. Wearing this watch makes me dream about the Ocean depths and underwater adventure. 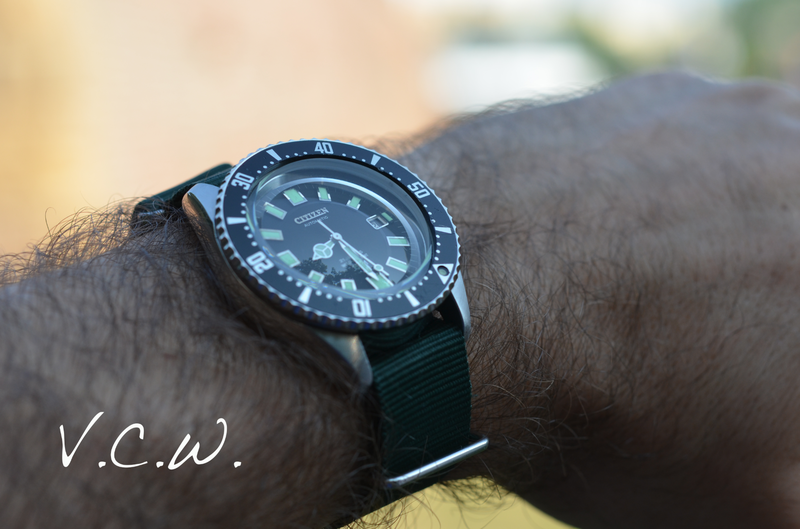 It looks good on original bracelet, on nato, on mesh bracelet, on rubber and even on a rugged leather strap. Beautiful watch! 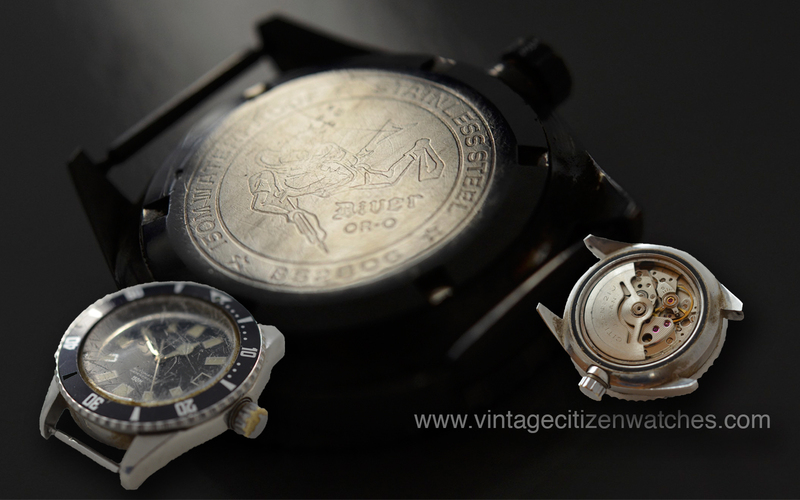 The case is made of stainless steel, 40mm diameter, 13mm thick, brushed face and polished sides. It has thick lugs and it is rugged and powerful without being overwhelming. The perfect shape and size for a diver. The screw-in crown is easy to operate, and it is unsigned. 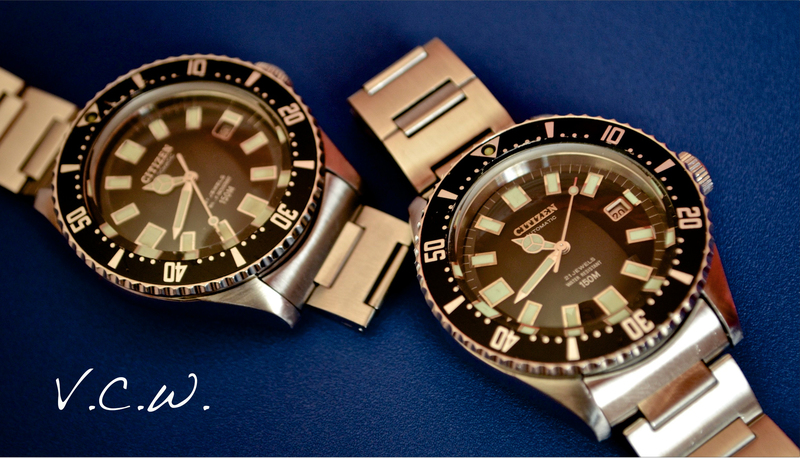 The bezel is frictional type, bidirectional, easy to use but not so easy to mess with when underwater. Pay attention because most aftermarket bezels don’t have dots at every minutes. The lugs are 20mm apart accommodating most modern straps you throw at it. The mineral crystal looks like it is domed but in fact it is flat. The underside is actually concave bending the light in a mysterious way that makes me day dreaming. It sits at about the same height (or slightly higher) with the black bezel. The dial is gorgeous. Plain, matte, deep black. There is no reflection. The reflection comes from the crystal and from the indexes and the hands. 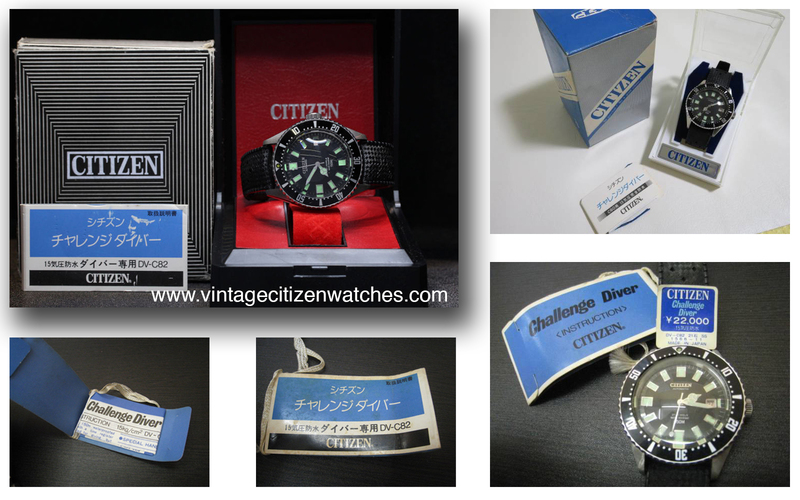 Not too much writing on the dial except the applied Citizen logo, automatic, 21 jewels, water resistant, 150m. At 3 we have the date window. Something about the date window – there are some variations here – with or without luminescent index at the side, in the same frame with the date, or in a separate frame. The luminescent material is glowing even more than 40 years later and has a superb green-yellow light to it. The movement is the work horse 8210A, 21 jewels, automatic with hand winding capability. Not much to say about this, it is just a clean, easy to use and service, reliable movement. Nothing fancy, just a up to the job honest movement. It beats at 21.600 bph and has a quickset date. 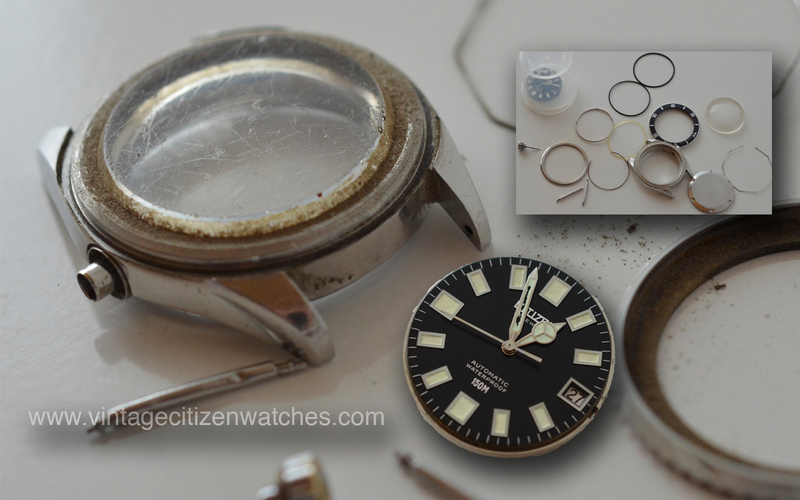 The first time this movement was used in this watch seems to be 1977. You can see the date of manufacture in the serial on the caseback. The first number is the year, the next two digits are for the month. The bracelet is stainless steel, with “H” shaped links. Very comfortable. 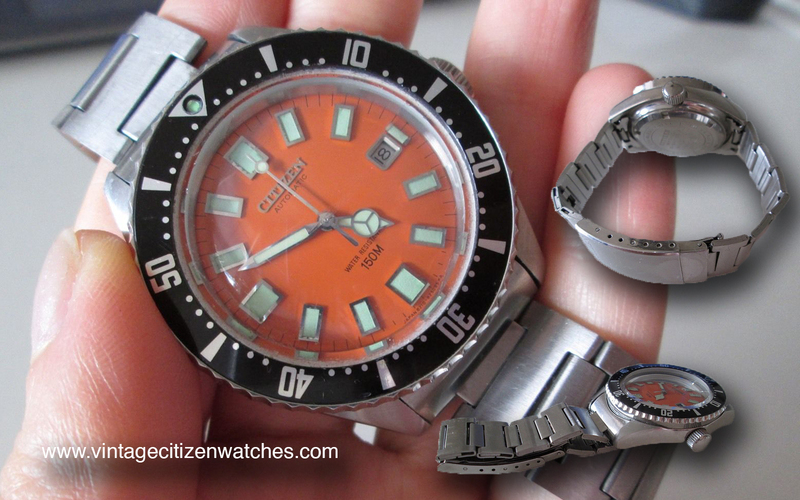 The clasp is also stainless steel, signed Citizen. It has a diver extension. The bracelet should be brushed. 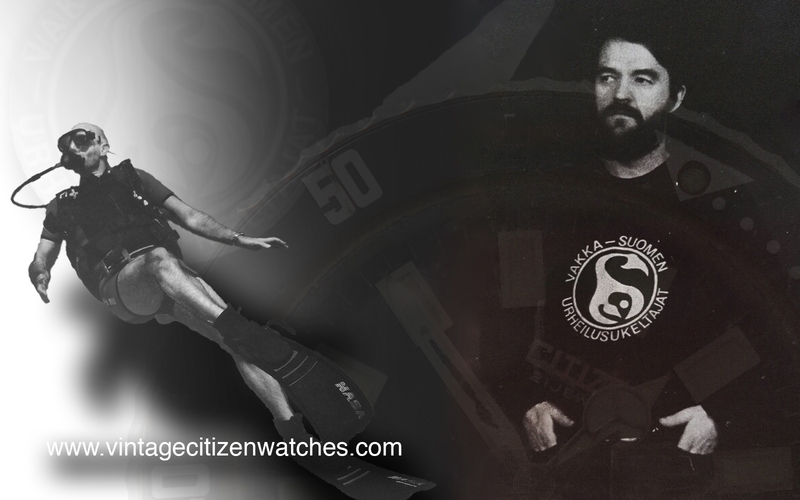 My NOS one came on the original Tropic strap with Citizen signed SS buckle. So… Tropic is original and bracelet is original too. Not sure if both boxes are correct? They might be because there are quite a variations of 52-0110 models so I expect it for the boxes to be a little different too. Who knows? 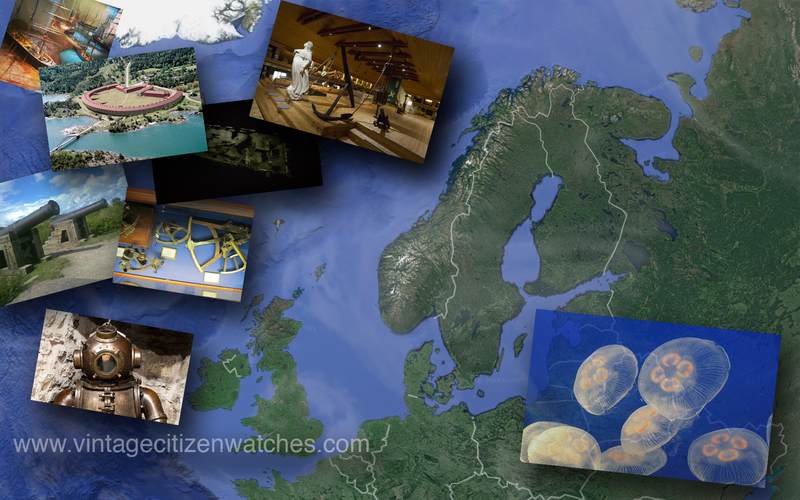 And here it is the booklet of the watch: Thank you Mikko and congrats on yours! Mikko’s booklet was in English and Spanish. Read about the complete 150m diving collection HERE.